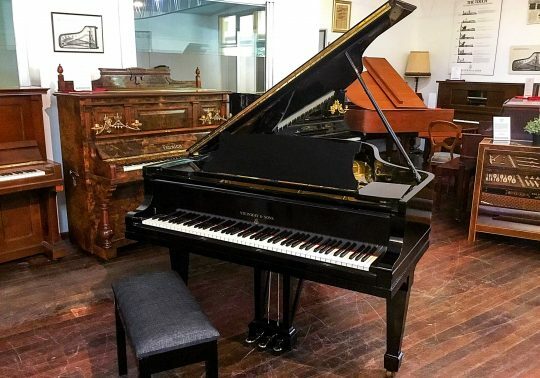 Price includes professional delivery and installation, matching restored piano bench, post-delivery tuning and 15-year warranty. 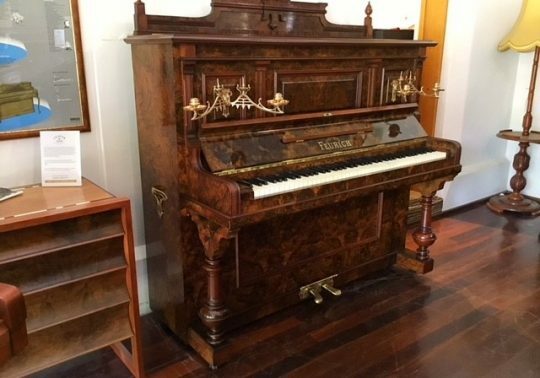 What a rare piano to find in Australia! This Gebruder Knake Concert Upright Piano features a beautiful carved walnut cabinet and ornate brass caldelabra. 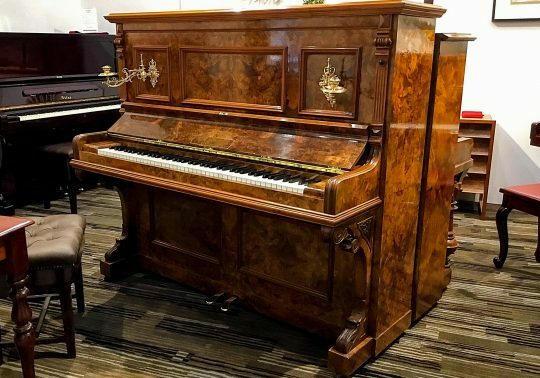 This 1906 Julius Feurich Regal Piano features European figured walnut and a keyrail stamped with the name of South African composer, Rocco DeVilliers, for whom the piano was made. 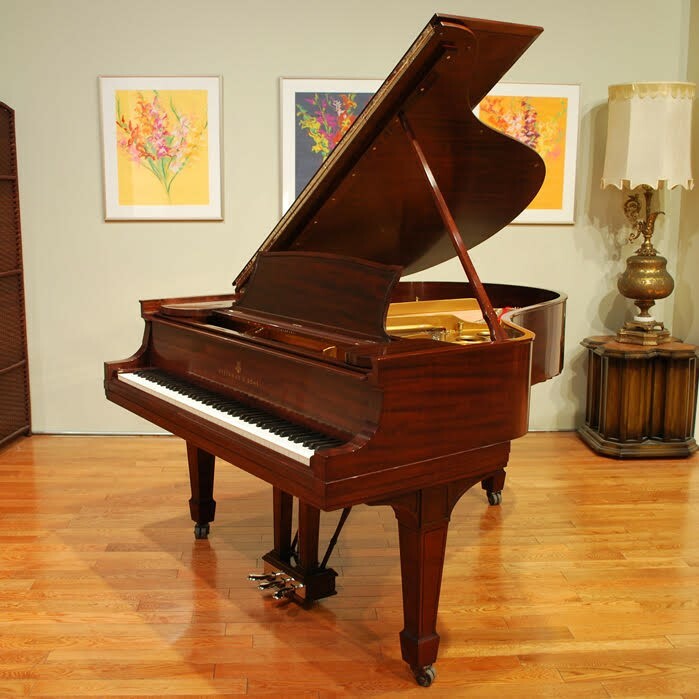 This absolutely stunning 1927 Steinway & Sons Grand Piano possesses a beautiful tone and a classic elegance in its style.